Charles Leadbeater, an expert on innovation, once wrote that just as Adam Smith was the key to the eighteenth century, so the key to our era is Delia Smith. Delia, he said, is the example par excellence of how we can learn say cookery from recipes, whereas our ancestors mainly learned from their mothers’ knee. 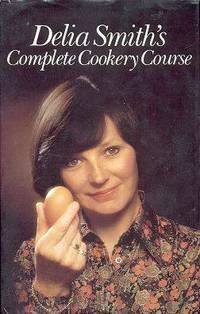 I thought of Delia Smith a few weeks ago as I was teaching facilitation to the impressive members of Climate Rush. A good way to think about facilitation is in terms of recipes and ingredients. The recipes are the different methods – Open Space and World Café perhaps the best known – but there are many others. For a selection, look for the now old nef book, Participation Works!, on the web, or try peopleandparticipation.net Each method has various components. Many of these can be applied in a variety of situations, but rarely are because people stick to their favourite methods. Here are two ingredients I like for the start of meetings. The first is about getting people comfortable with each other. A Future Search conference starts with three 10 metre long timelines made from flipchart paper. Each is divided into three sections, representing the three last decades. They are marked ‘personal’, ‘global’, and the name of the community or organisation whose event it is. People write in key events for each one, and as they do so start to realise how much they share with other people present. In doing so, they are fulfilling the Conditions for Effective Dialogue developed by social psychologist Solomon Asch, that we need to feel that we share a planet with the people with whom we enter into dialogue. The second is about finding out information from the people who come to an event. Sociometrics is a complicated name for a simple process of getting people to show where they stand – by where they stand. They position themselves as to where they stand on the floor, to show where they live, say, or (in a line) how strongly they feel about an issue. This is very quick, very visual, leads naturally on to asking people why they stood where they stood, mixes people up, and shows people’s capacity to self-organise. In chess terms, that’s the opening. More on the middle game next time.